A hearty breakfast at the Premier Inn and we set out for a day at Hampton Court Palace. First time for all of us so big excitement and expectations were high. Having read in advance there was only a small car park and no tube stop at the palace we opted to take the bus. A stop right outside our hotel made it easy and an impromptu song and dance routine from Son while we waited passed the the time nicely. 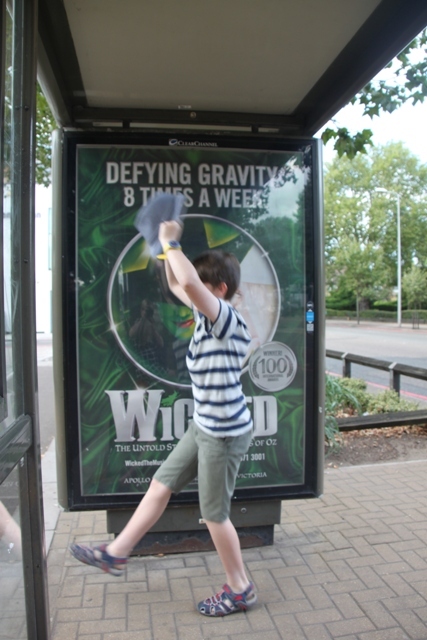 We enjoyed the bus ride too, trundling through Kingston, Teddington and a couple of other little places was very pleasant – just as well though, it took forty five minutes. 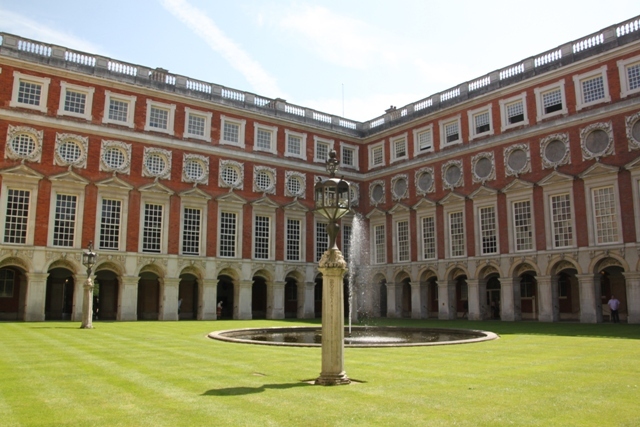 Hampton Court is a story of two palaces – the Tudor part developed by Cardinal Wolsey and Henry VIII alongside a baroque palace set out by William III and Mary II. Tickets were super expensive but you do get a lot for your money. We went for the whole hog which included access to the palace, maze and gardens plus an audio guide. You could dress up in “royal robes” as you toured, we saw lots of people decked out in this finery, Son was having absolutely none of it for us. We bumped into Henry VIII before we even got inside. This turned out to be a regular feature of the day, costumed characters from Henry’s court wandering around, having conversations, acting out different scenes and generally bringing history to life in such a creative and interactive way. I loved it. Hampton Court is Henry’s grandest surviving palace, right on the River Thames the location is glorious and combined with so much incredible history this was a wonderful family day out. Originally a 14th century manor house it was rebuilt as a palace by Cardinal Wolsey then confiscated by Henry who added the Great Hall and Royal Tennis Courts. Subsequent kings and queens revamped the interior but it ceased to be a royal residence in the 18th century. Queen Victoria opened it to the public in 1838 and it has remained a tourist attraction ever since. We used the audio guide for the whole of the interior – it was informative and excellent with a choice of tours suitable for children and adults. The buildings alone cover over six acres so an audio guide to assist is definitely a bonus. 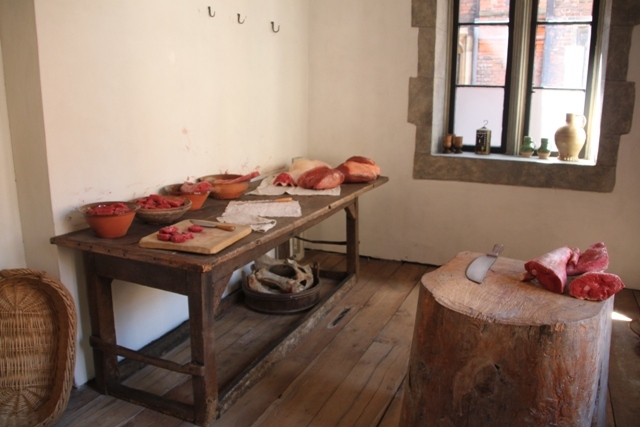 Our starting point was the Tudor kitchens – astonishing and designed to produce food for eight hundred courtiers twice a day. 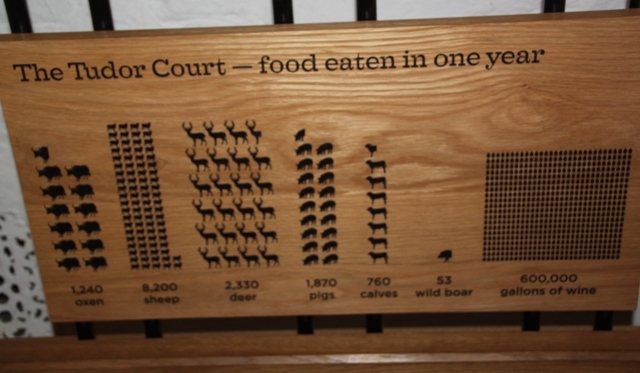 A list from the reign of Elizabeth I showed the vast quantities of food consumed, it was mind blowing. We wandered and found so much to see, things to touch and smells of the time too which heightened the whole experience. Henry’s State Apartments are stunning, my favourite was the Great Hall, built for Anne Boleyn and hung with magnificent tapestries. By the time it was finished though Anne was dead. It is incredibly impressive, all those tapestries plus a hammer beam roof and so much to take in. 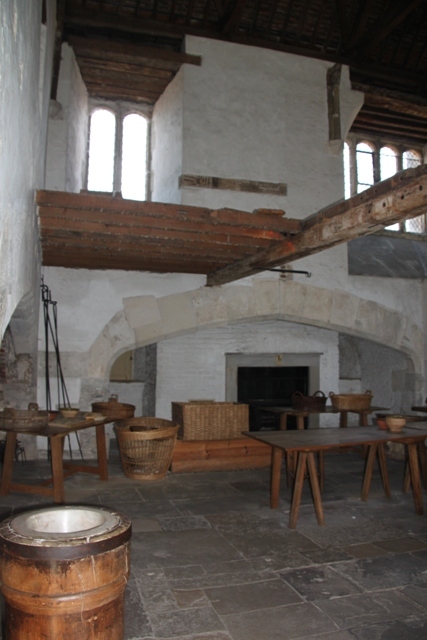 We stumbled upon Henry having a discussion with Katherine Howard and Darnley in the background – spine tingling it felt like eavesdropping on a scene we’d read about in our history books. 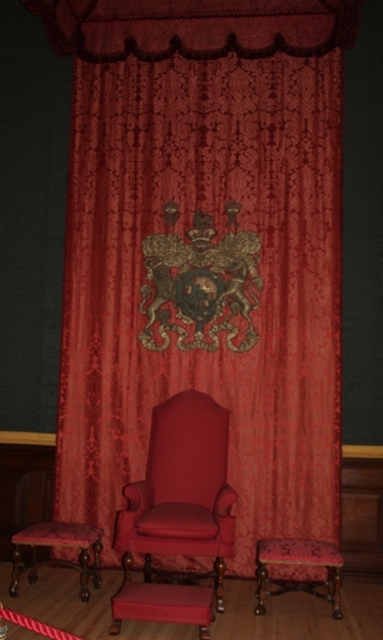 The Chapel Royal had a sacred atmosphere, we saw a replica of Henry’s crown and the view of the church from his seat. No pictures allowed but it is a beautiful and special place. After lunch the Young Henry exhibition was on our list. 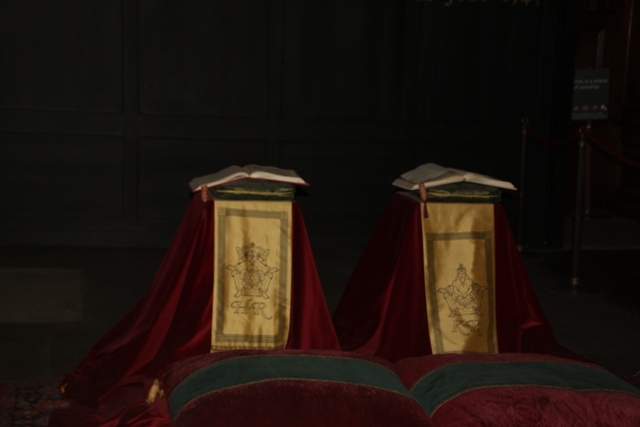 Another interesting angle on Henry’s life and the use of three chairs symbolising Catherine of Aragon, Wolsey and Henry at different points throughout their lives was thought provoking and memorable. We carried on to William and Mary’s apartments, very different to the Tudor buildings but also full of interesting history. I have to admit though, after all that Tudor magnificence the Georgian part of the palace was much drier – Henry gets my vote for his interiors. A brief coffee break and a chance to rest our weary legs before we headed outside to see what the grounds had in store. One last look at the fountain in the courtyard which, in Henry’s day was flowing with wine and not water – imagine that. We were blown away by this glorious monument to the Tudor dynasty and feared the gardens might not match up. Fears that proved to be unfounded…. It definitely is a stunning palace! Pressed for time, hubby and I weren’t able to go when we were in the UK. My, we missed so much!! Maybe you’ll get the chance to visit again Dee – it is definitely worth it, we had such a great day there and didn’t see everything. We saw Katherine brought to life (by a very good actress) but not the ghost (phew) – I’m not as brave as you and felt relieved about that!! We did though go through a corridor which they said was where you were most likely to see Katherine’s ghost – apparently more people faint or have a weird feeling there than anywhere else in the country. I had a weird feeling but think it was my overactive imagination!! Completely agree about the 2 parts Andrew I thought exactly the same. Just finished watching the last episode of Wolfe Hall last night on catch-up (always behind everyone else) and I must admit, I wouldn’t mind going back again myself. Wow, that’s most impressive, Joy! Only watching the photos makes me feeling like back in time. I can only imagine how this must have been being there. Really cool! I have to keep that in mind! Great! Btw. I loved the Premier Inn! It’s the most incredible place Erika and with all those costumed characters floating around it makes you feel as if you are reliving history – definitely recommend if you’re in London anytime!! Have a great weekend. Fantastic stuff. I have not been there and may never so it was delightful to read about it in your post. I can visualize all the history so much better now. That great hall is awesome. 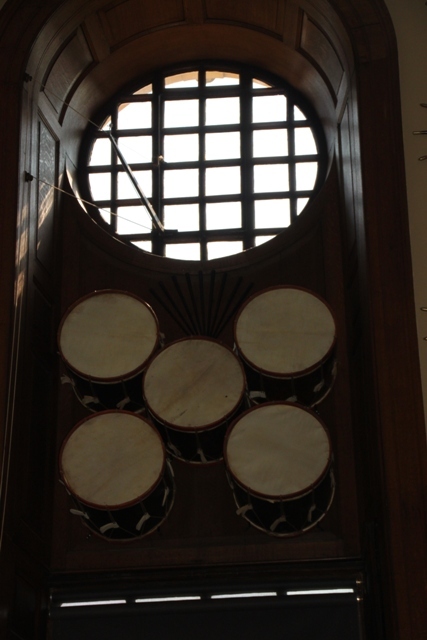 The Great Hall was my favourite – so atmospheric and being able to wander and touch things made it very special. It is a wonderful palace and a really memorable day out. It is a surprise that you are in fact, allowed to touch things. Many historic places do not allow that. Were there restrictions on this? How awesome to be able to touch something that the Tudors themselves touched!! It is grand and beautiful but also so interesting – lots of history amid all that beauty and grandeur. 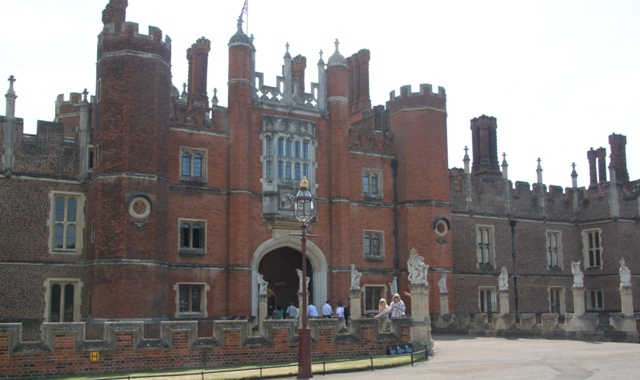 I went to Hampton Court when I was a student – Easter Vacation 1977, so not yesterday! 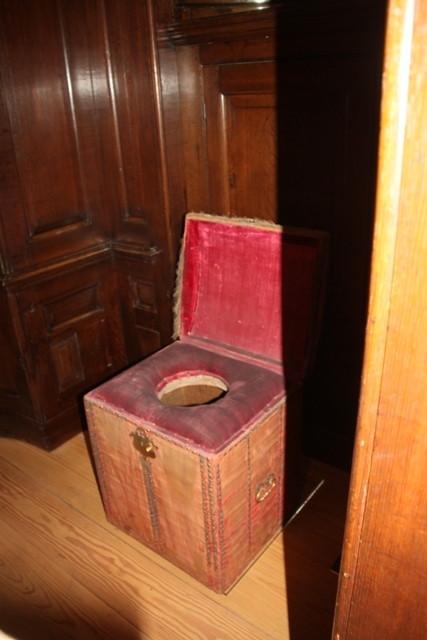 It’s changed a bit – well not the palace, obviously, but the facilities for visitors. I would love to go back – great post. I assume the gardens are coming up – can’t wait. I just remember lots of daffodils. 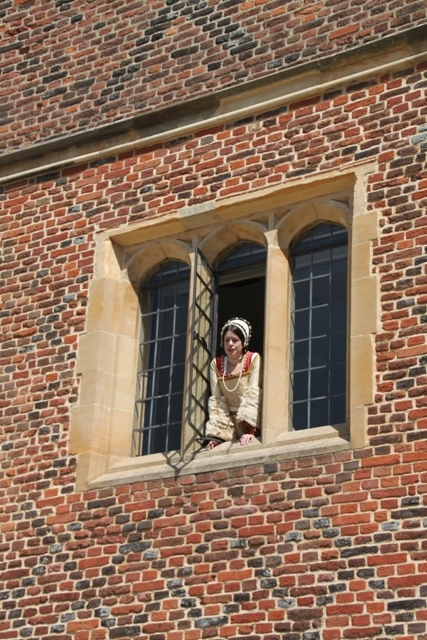 We had such a great day out there Anabel – I loved every part of it especially the Tudor kitchens and Henry’s apartments. The gardens were just wonderful too and we were blown away by all the flowers and colours there – I am mid sorting photos so yes, another post on the gardens will be done soon!! Have a great weekend. Forgot to say – you’re not the last person to watch Wolf Hall! I have them all recorded but haven’t yet watched any. I need a week to devote to them I think. I thought it was just me!! We’re always way behind other people with shows like this, I did enjoy it though – when you get round to watching hope you do too!! Looks wonderful…I admit I immediately thought of the show “the Tudors”while reading this….great part of history! 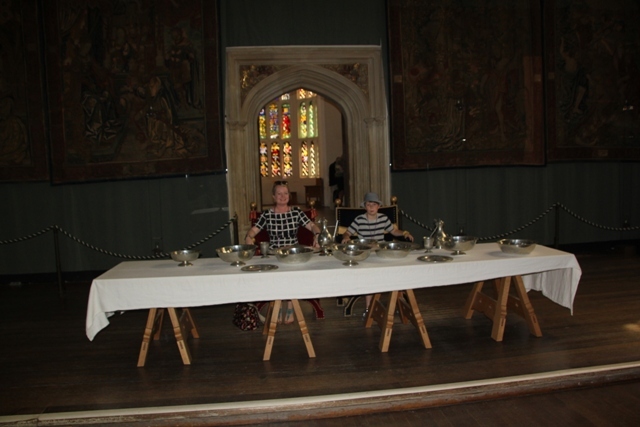 It was like being part of the Tudors Diana – incredible and such a great way to learn about that period in history. Those costumes are really an awesome addition to the experience! They made the day even more incredible – as if the people who lived there all that time ago had come back to life in front of our eyes. My husband and I loved Hampton Court when we went probably 15 years ago now and it looks like they have developed it more as an attraction since then. 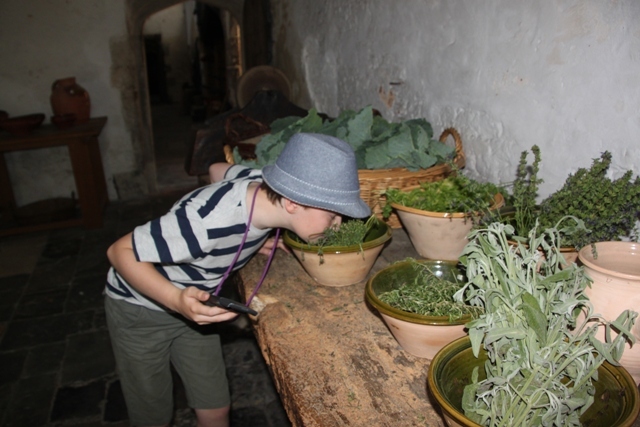 The costumed actors and the interactive elements like the food board and herbs probably make it much more engaging for younger visitors as well as adding interest for adults. I really ought to find a way to get my kids there some time when we come back to the UK for a visit. 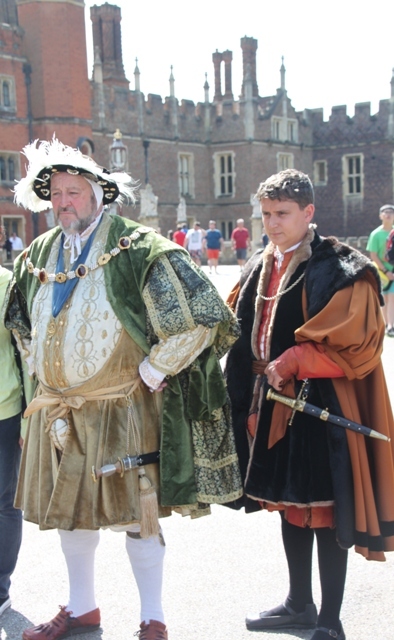 It was such a great day out for all of us – our son soaked it all up like a sponge and became incredibly interested in Henry and the Tudors without any of the groans that come in some of these historical places. Whilst being a bit taken aback at the price for the 3 of us I changed my mind inside, it was well worth it!! 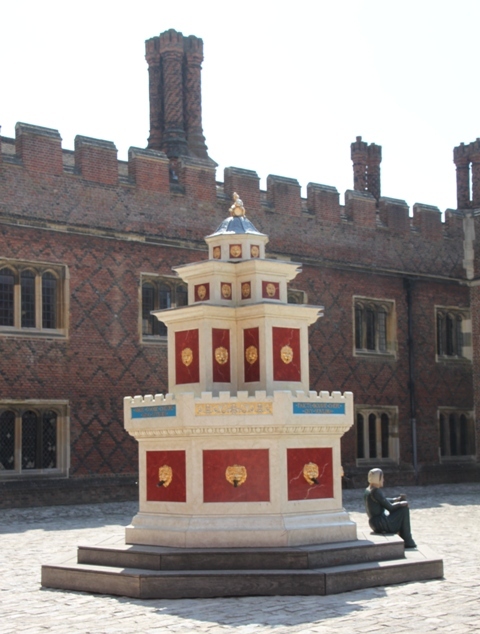 I really enjoyed reading about your experience at Hampton Court, Joy! May I reblog for my readers? Of course Anna – thank you!! You’re right, Joy, this si a fun and amazing place providing lots to do and experience. Henry was very entertaining, wasn’t he…:). We were there about five years ago and had a great time, going the dress up route. Thanks so much for the trip down memory lane. He is definitely a larger than life character George, one thing you’d never call him is boring!! We had such a fun time here and learned so much as well, glad you enjoyed revisiting an old haunt with me!! Have a great weekend. Oh! So Son would do a song and dance number, but he wouldn’t dress up in costume? This sounds like such a great way to explore history, especially with costumed actors running around re-enacting scenes. How long did the whole tour take? He he, never thought of that Melissa – but then we were the only ones watching that song and dance thing, the robes were in full public view and he was not up for that!! We stayed all day at Hampton Court – could really have done with another day but were moving on so had to just fit everything in. We did the interiors in the morning and the gardens in the afternoon – a lot to take in but worth it! I think I would have found that maze challenging enough – my son was disappointed but he is a bit of a maze champ – he missed my lack of direction gene!! We did have the most wonderful day out though and the characters were incredible – we visited last summer, maybe they are only around at peak times – definitely recommend a trip when they’re there, it is spine tingling. 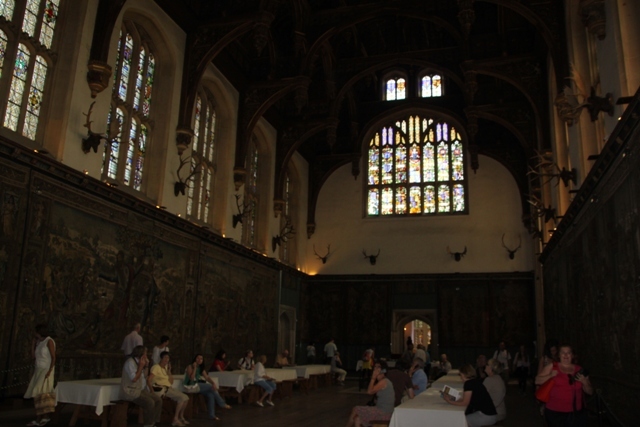 I loved Hampton court when my daughter and I were there but we didn’t have the costumed characters,etc. and that sounds really good! The characters were just wonderful – especially since you seemed to stumble across them in various places around the palace acting out scenes from Henry’s rather colourful life!! It definitely made an already great day out even better. 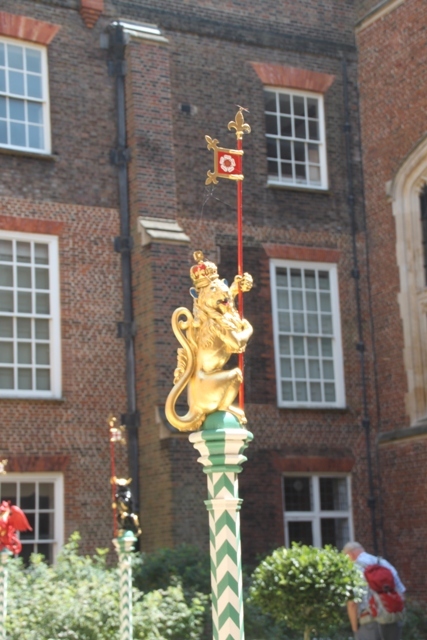 Hampton Court Palace, located just outside of London, is a terrific day trip for families, and our friend Joy at Joy Loves Travel has kindly allowed us to share her family’s experience! This is a must-read for anyone planning to visit this Tudor treasure. Enjoy! Thank you Anna for the reblog!! Never been to Stirling Castle – sounds like that is somewhere we should go to!! Re-enactment just makes it so easy to soak up all the history – we’re big fans of that too. They did it really well here! Love this place..we have been twice on our travels. The last time we were there my son Lucas was selected to join part of the re- enactment and when he was asked about the King’s advisor what to do about Queen of Kathryn he confidently yelled out “Off with her head”.. 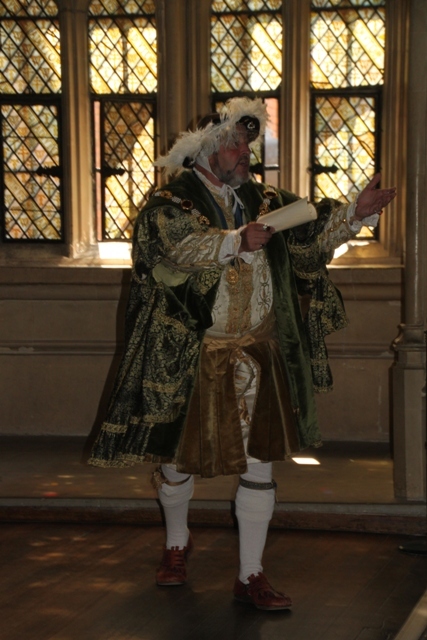 The crowd burst into laughter… All the kids know about the history of the Tudors is because of this great place. That’s so great – kids have a knack of saying the right thing at the right time!! I agree too about the history – our son learned more on that day about the Tudors than from any book beforehand! I can’t tell you how much we loved Hampton Court Rosemary, you must visit next time you’re in London. The sense of history and the buildings themselves are just incredible, the costumed characters were just the icing on the cake. I’ve just finished Wolf Hall – very depressing last episode with Anne Boleyn even though you know the story – and actually would love to go back again!! I’ll definitely go there next time!! Yes although I enjoyed watching the episode of Wolf Hall with my dad I had a sense of foreboding as of course I know the story so well and I can’t cope with anything squeamish. I know I’d find watching what happens to poor Anne very harrowing even though it would be a reenactment. 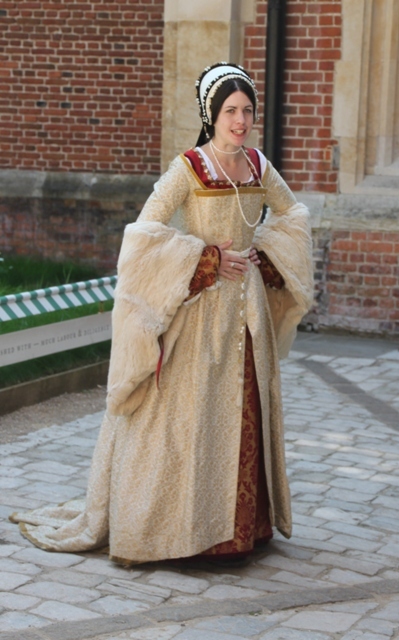 However I’d love to visit Hampton Court to experience that sense of history – I’ve always loved Tudor buildings and I love anything to do with historical costumes!! 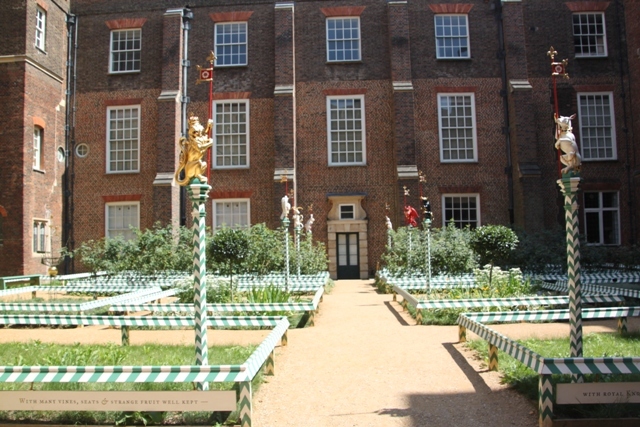 Great post that I really enjoyed reading before I visited Hampton Court myself last week! It is a very neat place and we spent the whole day there exploring the palace and the gardens. It’s so interesting – I loved all the Tudor history and stories and the gardens. We came away exhausted trying to see and do everything but it was well worth it. Glad you enjoyed it too.